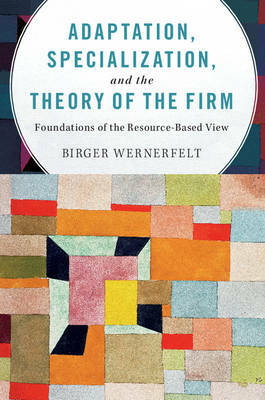 This invaluable book provides the foundations for a new theory of the firm, drawing on Birger Wernerfelt's landmark work on economic theory and the resource-based view of the firm. It addresses a vigorous and long-standing academic debate over what exactly a 'firm' is, both in the field of management and economics. Wernerfelt revisits his classic articles, including an extensively revised 'A Resource-Based View of the Firm' (1984), which have been updated and synthesized to provide precise and accessible concepts and predictions. By offering future directions for research and practice, this book will be of interest to students and scholars of management and economics alike.